To launch Rucksacks & Rebels creative arts anthology on 5th February 2019 at Hope Kitchen, Oban (2pm). To continue to successfully establish SHAREArgyll and raise awareness specifically about Rural Homelessness and Hidden Homelessness. SHARE Edition One (2016) featured the creative work of students and members of the community looking at generic issues around homelessness (the book sold over 1000 copies and raised £1000 in support of Bolton Young Persons Housing Scheme) our book launch at Waterstones Bolton was supported by well known Bolton star Dave Spikey. 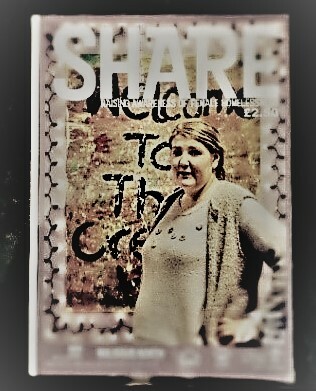 SHARE Edition Two (2017) featured the creative work of students and members of the community looking at issues that specifically affect women who are homeless, and is actively used as theme by Performing Arts and Drama students and Creative Writing students at Bolton Sixth Form College as part of their practical course work exams. 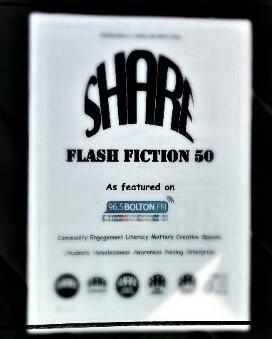 SHARE Flash Fiction 50 a creative writing competition run by SHARE at Bolton Sixth Form college, the event attracted over 100 submissions and was used successfully as a class challenge by the GCSE English students. SHARE Rucksacks and Handbags Winter Campaign (2017) - Choosing HomelessAid Uk as a Bolton charity for 2018 we requested donations of clothing and basic toiletries and received hundred of items from students, staff and members of the community. SHARE Roles established in college and local schools: SHARE Community Champion, SHARE LGBTQ (Youth Homelessness), SHARE Literacy Champion, SHARE Ambassador, SHARE Poet Laureate, SHARE Mental Well-being and SHARE Advocate. 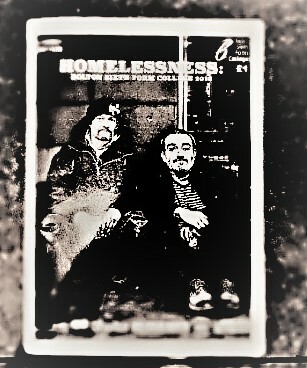 Successful launch with local churches, Homeless Jesus - an Easter booklet of reflective poetry highlighting homelessness in contemporary Scotland. Linking in with our local sponsorship for Lochgilphead Red Star, we successfully launched an anthology of football poetry: A Game of Two Halves: Football Tackling Homelessness in May 2018. SHAREArgyll inaugural anthology was successfully launched at Hope Kitchen, Oban on October 1st 2018, and Highland Bookshop, Fort William, October 20th 2018. Successful launch of Rucksacks and Handbags Winter Campaign 2018-19.